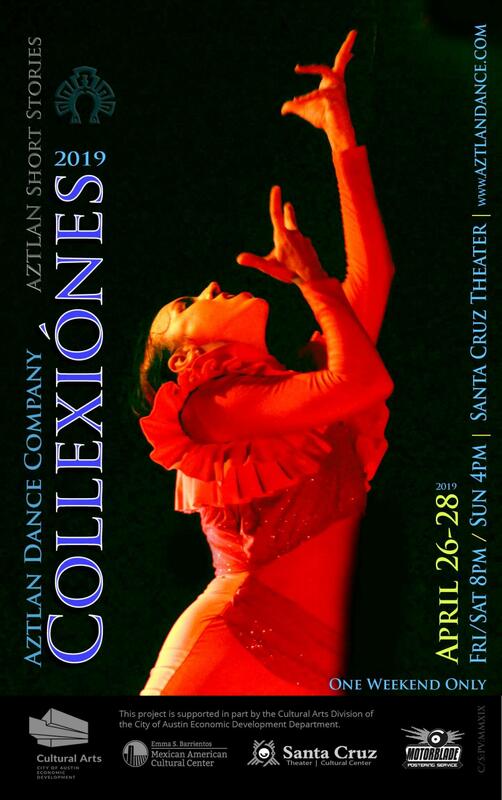 The AZTLAN Dance Company presents Collexiónes: AZTLAN Short Stories, a theatrical dance performance featuring AZTLAN’s unique dance storytelling that shares the expressions, reflections, and imaginations of Austin’s Latino/Xicano experience. Fusing contemporary dance with tradition, Collexiónes is a delightful collection of works that imagines the future today. The three dance works featured in Collexiónes are: AmerIndios, Modern Mestizos, and the Cascabel Suite. Collexiónes is the culmination of the company’s 45+ year history of chronicling community through dance. The work is at once innovative and creative, as it is accumulative and historical. Fittingly, Collexiónes is presented at the historic Santa Cruz Theater that is located in original East Austin.